Liverpool Legends line up with local players and mascots before the game. 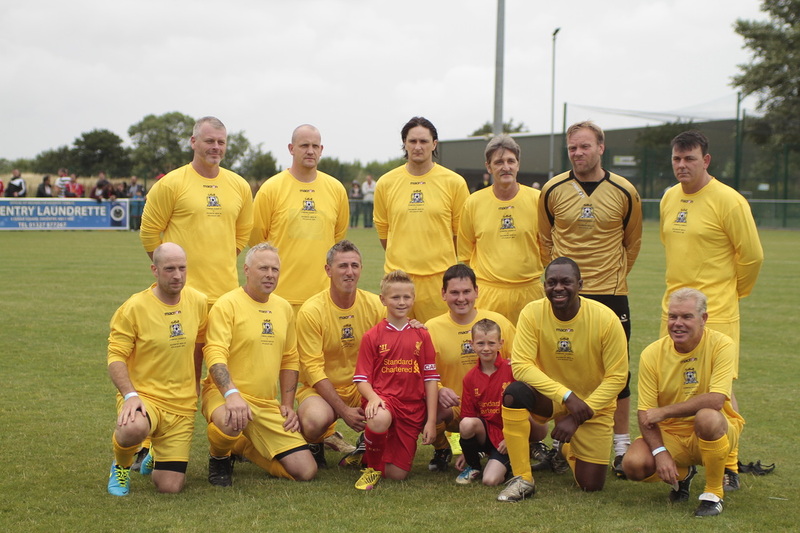 A team of old Liverpool Pros came to Daventry to play against a team of local Northamptonshire based Liverpool supporters. First Half team lines up, Gez Donnelly, Mark Pittam, Marcus Thorneycroft, Craig Moore, Craig Humphries, Thomas Francis. Front row, Nick Parry, Chris Morris, Neal Bliss (Captain), Joe Worwood, Leonard Solomon and Mike Gibbons. 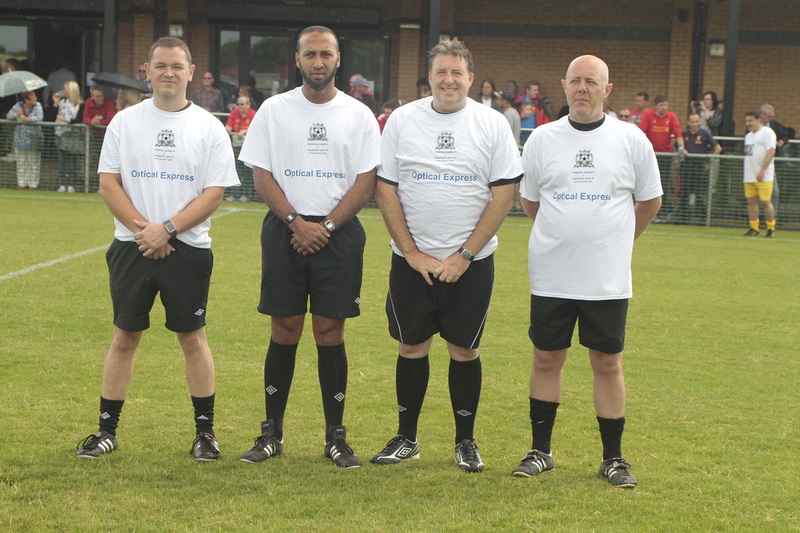 Referees and assistants, Paul Speakman, Abdul Kadir, Garry Roche and Stuart Tweedale. Big thanks for their support. Jon Burridge, Brendan Healy, Gavin Russ, Mark Pittam (Second half Captain), Anthony Illingworth, Jon Arthur. 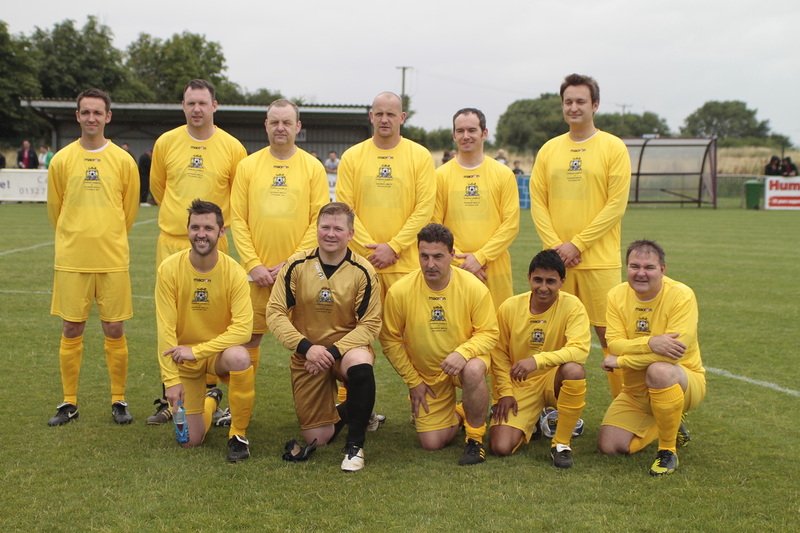 Front Row, Matti Facer, Steven James, Shaun Sole, Bazz Mistry, Warren Cooper. Minutes clap in memory of Ginny Birk, a Liverpool fan who had planned to attend the game but sadly passed away in early July. His family was there to see the game in his honour. Thanks to Paul Bliss for the footage. 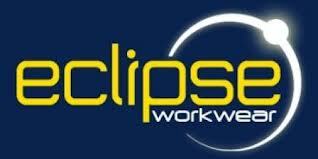 back of Legend shirt sponsor. Supplied warm up t'shirts for both sides. What it was all about the Charity TIMS. 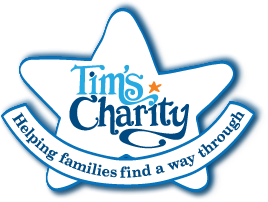 Big Thank you to all the advertisers for supporting the event and the Charity. Please support them by using their businesses in the future.